Several things all came together at roughly the same time. Firstly, Spellcheck changed my life, as it enabled me to share with others what I wrote without the shame or embarrassment! I had never really realized, but my problems I’d suffered my whole life were from dyslexia. I had always loved to write, I could write so easily and effortlessly, but the spelling was a major setback. I was never able to share anything I wrote. But with my first laptop, I was away! 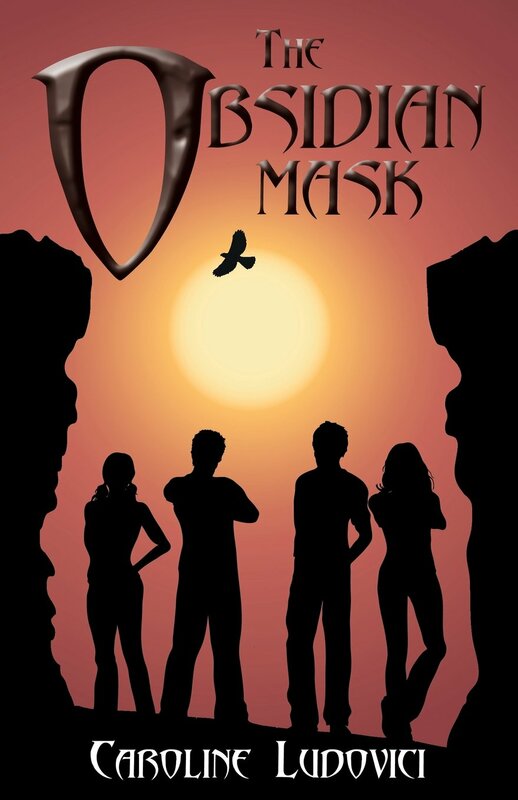 My first book, The Obsidian Mask, was born from my wish to share my passion for archaeology and adventure, and to fill a void in the market for believable, down-to-earth YA fiction. The little Archaeology there is in literature or film for children, is always depicted as either plundering, clumsy archaeologists looking for treasure, or shown with special effects in movies. I believe it is exciting enough without any extra enhancements! The Obsidian Mask is the exquisite, ancient artefact that the team of archaeologists discover when they excavate the tomb of an ancient Mesopotamian warrior queen. It is the death mask that covers her face, and proves to be the cause of the four young teens frightening adventure, as they stay at the desert archaeological site while visiting their parents. The Obsidian Mask is the first book. The sequel, Secrets of the River, is about to be launched early 2015. The four teenagers are now in Italy, as their adventures continue in the unfolding story of the joining of their lives, and the realization, after some very dangerous situations, that exposing the true identity of someone very close to home, some family secrets are better left buried. Not really, but a couple of teen readers have told me that they had not realized before reading the books that our human history and past is still very much who we are today. Some things we read in history books may seem distant and so far behind us, but really, we have been here for such a short time, who we are today is just a result of things that happened before. Some of my readers just love the adventures, while others take it a step further and think beyond the story. I have had parents read The Obsidian Mask who told me they have learned a lot from it. This wasn’t really my intention, but it’s a nice feeling to spark the interest in anyone, young or old! I love telling a part of history that isn’t widely known or discussed, such as the plundering of ancient artefacts, art by the Nazis, or the thought that the place where you were born, decides for you the what uniform you wear in wartime… as is the case in book 2, Secrets of The River. Although exciting, fictional adventures, my books are realistic. They are quite informative, too, but without the reader realizing this too much. This is my intention, to show that not all fiction for teens has to be Sci-fi, magic, or frightening zombies taking over the earth. These books are very believable, and the characters are in depth, develop throughout the stories, with the reader. I enjoy injecting some truth within the storyline, so that my readers can research further a subject should their curiosity take them there! I loved talking about the cradle of civilization in The Obsidian Mask, and letting my readers know how advanced they were in the ‘fertile crescent’, with their medical knowledge, engineering, and life in general, while we at the same time in the west were still so backward and ignorant! Well, I have to say there is probably a little of me in every character. An ‘adult’ who recently read The Obsidian Mask, said that it was an eye into my soul! Well, I had no idea I was so transparent! But I have a clear picture of the characters in the book when I write, and I can hear then talk. It is almost as if they tell the story and I just write what happens! No. It is pretty much as it should be. I think my readers will understand if I ask them to tell their friends to get off their computers, look up from their phones and see the world around you. Every breath we take is a countdown. So climb a tree, a hill, feel the breeze, listen to nature. See what is out there. Enjoy the world that took so many millions of years to form, and get us to here! When I describe opening an ancient tomb, to see the skeleton of the queen, or the Etruscan sailor who died trying to save his dog on the listing ship over 2000 years ago, this shows us how short life really is. So grab it! It’s great! I have several in Secrets of The River, which is a fast moving adventure. But perhaps my favorite is a quiet scene in where the two English young teens, Natasha and Alex who have come to stay with Lorenzo and Gabriella in their ancestral villa in Italy as their parents are now engaged to each other, share an awkward, tender moment. Gabriella and Lorenzo’s mother had died a couple of years before, and we find out that Marcello cant bear to spend time there at the villa as it reminds him so much of his wife. Lorenzo, 15, is still very much mourning his mother and suffering internally. Natasha sees for the first time through his eyes, how her mother will be in a way, replacing his mother, and the conversation becomes a little strained. The four are sitting around the pool. When Alex innocently asks Gabriella if her grandmother, the stiff Contessa, likes the thought of his English mother marrying into the family. Lorenzo gets up from his sun bed and walks around to the deep end of the pool, and fiddles with the filter in the ground with his back to them. After several minutes, Natasha realizes he is upset, and the sensitive conversation about their parents marrying continues between Alex and Gabriella. When he eventually returns to the fold, his eyes are moist and he sits next to Natasha at the pool’s edge. He looks her in the eye letting her in on his secret that he had been crying, and gives her a little sheepish smile. She took it to mean perhaps that it was OK; he was all right with it. They sit together at the edge of the pool in silence, swirling the water around with their feet, their arms touching, and neither pulling away. I love this scene as it brings Natasha and Lorenzo closer together as future siblings and tells us a lot about how Lorenzo suffers with the loss of his mother, and how his father is still absent in his life. Natasha also realized how selfish she had been in not accepting Marcello, Lorenzo’s father, as we read in book 1. Natasha realizes how Lorenzo and Gabriella had so much more to come to terms with, compared to her. I love YA fiction. Perhaps it is because at heart I am still a Young Adult myself! No nothing is taboo. Although I have been told by people that it is best to keep religion out of the stories. All the more reason to put it in perhaps? I did conform though to suggestions. There is a scene in The Obsidian Mask, where the four are trapped in a cave having been kidnapped. Lying in the dark on the cave floor, Natasha hears Gabriella and Lorenzo praying in Italian. She is rather cynical, but keeps it to herself, as she can’t believe they seriously thought someone was watching over them from above. If there were, they certainly were wouldn’t be in the frightening mess they were in now! I was told to remove this as agnosticism or atheism isn’t really suitable in teen literature in the US. So I complied and took out the part praying too, as I didn’t want to promote religion without a balanced point of view! I almost regret removing this, as it showed Natasha’s character as a free thinker, even at fourteen, a bit of a nonconformist, and she doesn’t accept anything readily without working it out first. It was only one line, and had nothing to do with any specific religion, it was only a fictional character’s point of view. Funny though, how religion and lack of it is has almost become taboo in literature. I would have liked my readers to have known that about her. I am researching for book three. Books of Algeria, but mostly on the Internet, I must confess. I am reading about the white slave trade in the 16th and 17th centuries, which was just as rampant as the black slave trade, but nobody learns about it at school, and I’m not sure why! We’ll see. That would be my dream. I see myself in a little cottage by water, with a desk facing the sunset. The spelling. I think I am dyslexic and the spelling is an absolute chore. Even writing this interview, there have been dozens of red lines under words that I have had to correct. It is such a pain. But as I said earlier, spellcheck brought me to this point, and I am truly grateful to the developers if the program! I dedicated my first book to spellcheck. It meant that much to me! No I can’t say I have. Often, I change a paragraph, or a chapter, so it never really gets to that point. Marketing is so difficult. I really have no tips at all, I am still learning myself! They say gather as many Facebook likes as you can, but I think this is rather futile, I’d rather the people who have liked my page to really like it, not just click it aimlessly not knowing who I am or what my books are bout. I’d rather have genuine people follow me than ones who come through a paid click program. I think blogging is a good way, although the teen audience I write for as not really on WordPress. 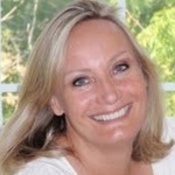 I think I am more in need of marketing tips more than being qualified to give them out! The genre is still YA, (or anyone interested in a great, exciting story.) Adults and teens alike will find it fascinating. It is the third in the current series. It still follows the story line from Books one and two, teen adventures loosely based around the parents international archaeological excavations. My next book starts in Algeria, and then goes to Ireland. It is about Natasha, Lorenzo, Gabriella and Alex finding the sarcophagus of an Irish girl in Algeria, and the trail they follow for her story. They are in Algeria as their parents are now married, the family is one, and Marcello is lecturing in N Africa about the palaces and forts being slowly swallowed up by the encroaching Sahara desert. They follow the story of a girl kidnapped by Barbary pirates from her fishing village in S Ireland, as so many thousands and thousands were, from all along the coasts of Europe, Britain, France, The Mediterranean to Scandinavia, and taken as slaves to N Africa. It is a story I think should be told, as no one knows about the White African slave markets.